Are You Ready For a Fresher Home? 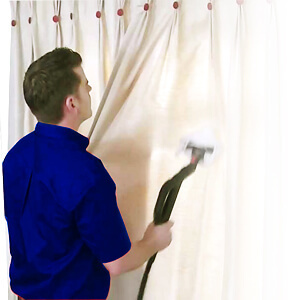 You might not have thought it, but curtain cleaning can make a huge difference in the comfort you’ll feel when relaxing around your property. Not only that but dirty curtains or blinds can have disastrous consequences on their surroundings and your own health. 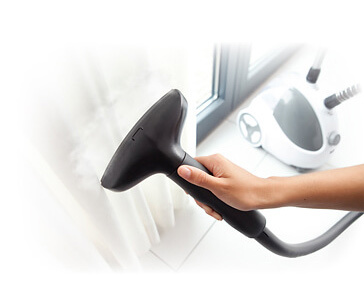 They can carry all kinds of bacteria that can spread quickly and easily unless you feel the benefit of such methods as steam cleaning. This is something we specialise in at Handy Services, and we’re sure to offer you a fast acting answer that will have all your concerns seen to. We take all the chore out of cleaning blinds, so join our ever increasing list of satisfied customers by calling 020 3793 4888 today! We’ve always worked extremely hard to imbue all of our efforts with environmental ethics that really cut it. We’re ahead of many other companies who still rely on outdated methods for disposal, while we’re well known for incorporating green methods into all of our curtain cleaning work. In addition to this, you can be absolutely assured that everything we use in steam cleaning is confirmed to be safe and of absolutely no hazard to the eco-system, or indeed your home! We take a lot of time picking out our supplies, and you’ll love the concern we bring to drapery cleaning. Well known for the high quality of our cleaners, you really would be hard pressed to find anyone with the same expertise as us. Even if you do, they’re sure to be charging over the odds when there’s really no need to. With us you get both fantastic work and low prices, representing the absolute best value in our industry. Cleaning blinds can very quickly make your home feel new again, and we make it so you don’t have to waste a single moment of your hard earned spare time. Just put your feet up, get comfortable, and let us show you what a quality clean looks and feels like. We’re sure you’ll come back for more time and time again once you’ve felt the advantage we bring! We use only the most environmentally friendly supplies, materials and methods at every single stage of our undertakings. Our groups of cleaners simply can’t be bettered at what they do, as their years of experience make them fully qualified to make executive decisions. Prices that won’t break the bank, and that absolutely anybody can afford – regardless of income! We offer you a whole new feeling to your home, with drapery cleaning that really transforms the room. 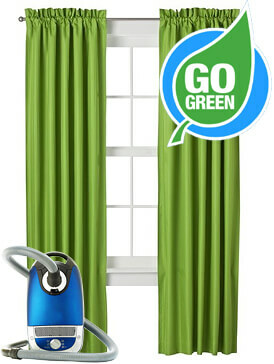 Protecting you and your possessions from the spread of bacteria and dirt that can arise from dirty curtains. Amazing emergency response times. If you need things doing in a hurry, we’ll be there without fail. So you want to get on with curtain cleaning. Do you find yourself too busy to find time to put aside for it, though? Are you often too drained after work, or busy with friends and family, to get on with that kind of job? We know these concerns, and that’s exactly why we offer all of our customers the best curtain steam cleaning facilities they can imagine. Handy Services is synonymous with the highest of quality, and we prove every day why we’re at the top of the pile. Book your appointment today and save money by putting your faith in us. 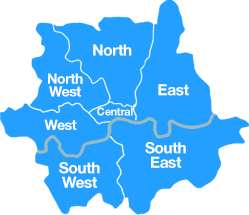 Get in touch with us on 020 3793 4888 - we’re always ready to hear from you! 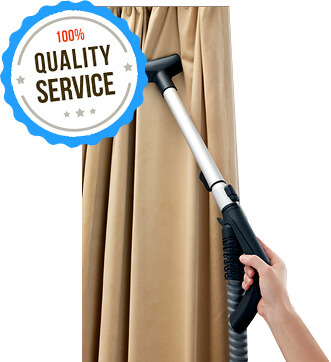 With our service we can guarantee perfectly clean curtains without delay. Not only can you take advantage of our same day service, but you also don’t have to worry about price! 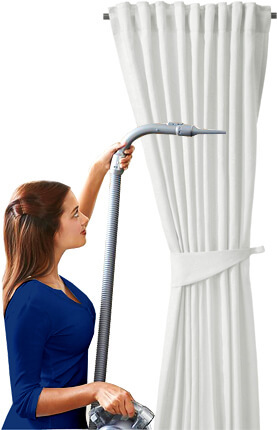 We know how important the price factor is, and for this reason we offer our curtain cleaning at very affordable rates. Contact us today to try out our service and see just how much of a difference we can make to your interior. The results of our work will fascinate you and you will never again wonder whether or not to hire us! Call 020 3793 4888 today to book with us!